Apple is getting better and better, it's currently launched iPhone X new feature will surely blow your mind. This premium phone is going to cost $999 so there has to be something exceptional in it. The all-new iPhone X is going to have full-screen display facial recognition software along with wireless charging. It can even record your voice in the form of speaking emoji and lets you send it to your friends. Apple is focusing more on augmented reality these days. It recognizes face expression using an infrared camera. The iPhone X can recognize your facial expressions, whether you're laughing, crying, sad happy and based on that it can create expressive 3D emojis. These new dynamic 3D emojis are known as Animoji. The animoji is not what is say but in fact how you say it. The Animojies are nothing but the animated emoji that learns the data through user’s face to create the expression like the smirk, pursing lips, smiling etc. Before sending it forward, they are animated in real time. Without emoji, nobody could image their chats as they are fun and interesting. 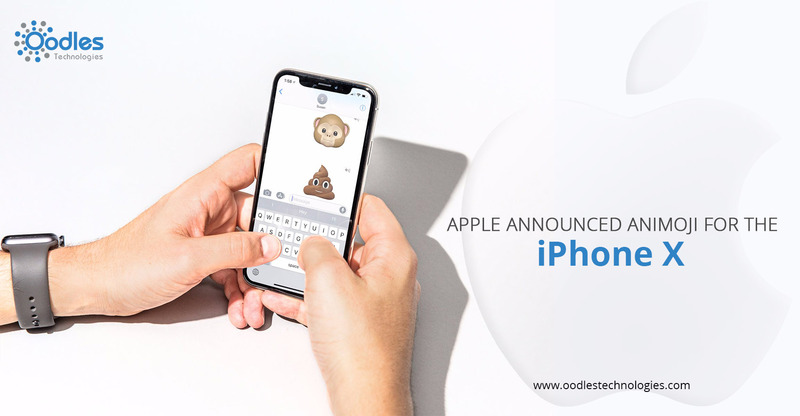 So, iPhone has gone one step further with this animoji animal-based emojis which you control with your facial muscles. These are custom messages which use your own voice and shows your expressions using an animated character. The phone lets you edit emoji. The expressions are recorded through 50 muscle movements in your cheeks, jaw, brow lips and mouth. Animojies are the perfect replacement for the things which you are not comfortable saying them. The company has introduced the variety of 3D emoji like cats, dog, cowboy, monkey, unicorn and much more. Behind any animoji, you can use any sound to send your message to your friends or family. It will be available through the messages app and will instantly recognize your facial expressions and animate it accordingly. It is a great step as it eliminates the writing of long texts instead it records your voice and expression which is a much better and a fun way to chat.